Otay Mesa’s Ocean View Hills: Hot Ticket or Hot Potato? 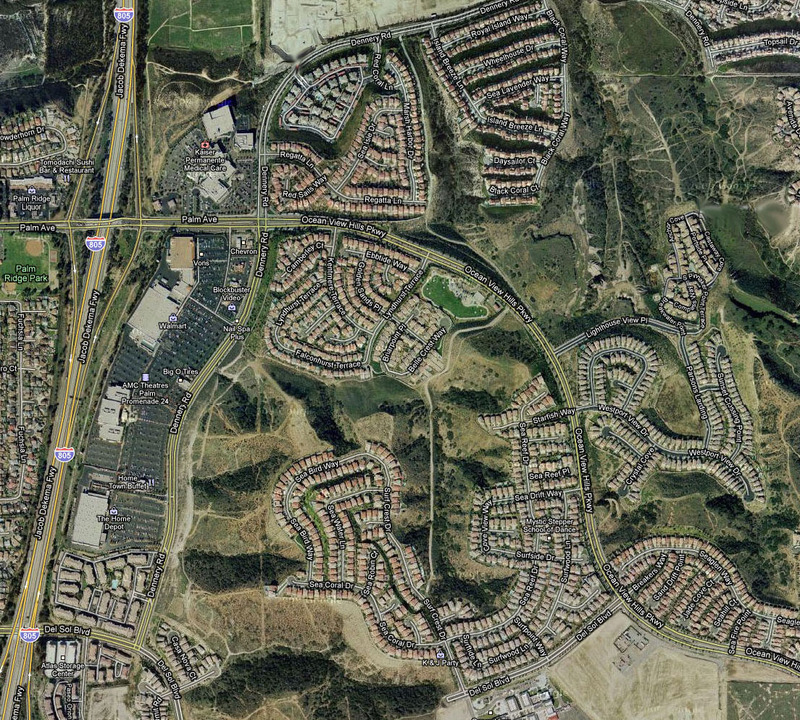 Is the Ocean View Hills subdivision of Otay Mesa (east of 805 off Palm Avenue) what the press would call a ‘down community’ or an incredible investment? It’s certainly a strong area for San Diego short sales and foreclosures! Real estate investors seem to be hovering over this lovely community, which currently has 45 homes for sale. Seven are bank- owned foreclosures and 16 are short sales. That puts almost half of Ocean View Hill’s inventory into the bargaining basement. Some of the homes in this 1500-home South Bay community had sold at close to a million dollars during San Diego’s frothy real estate market in 2004 through 2005 and early 2006. Those same homes today may be on the market for something in the low to mid $700’s. Other smaller homes are available in the low $500’s. With median pricing close to $215 per foot for homes built by Pardee starting in 2001, Ocean View Hills offers some of the best real estate buys in San Diego County. More than anything, Ocean View Hills seems to be a San Diego community that simply got ahead of itself in pricing. None of that, though, takes away from its beautiful views, fine neighborhood school (Sweetwater School District) or central community park. We see this lofty Ocean View Hills area of Otay Mesa as possibly the most luxurious community near the US/Mexico border, with the border crossing as little as 10 minutes away.